Celebrity Death Watch: W. E. B. Griffin was a prolific novelist, who, among other things, co-authored several of the books in the M*A*S*H series. Betty Ballantine was a publisher, who popularized paperback books. (She was, alas, on my back-up list for the ghoul pool.) Bibi Ferreira was a Brazilian actress and singer, who brought Broadway style musicals to Brazil. David Horowitz hosted a television show about consumer affairs. Ross Lowell invented gaffer tape. Sal Artiaga was the President of Minor League Bseball in the late 1980’s. Theodore Isaac Rubin wrote several books of pop-psych, including the short story that the movie David and Lisa was based on. Bruno Ganz was an actor. Toni Myers made IMAX documentaries about space. Wallace Smith Broecker coined the term "global warming." Don Newcomb was, among other things, the first black pitcher to start a World Series game. Karl Lagerfeld was a fashion designer. Vinny Vella was an actor who specialized in playing gangsters. Fred Foster was a record producer and songwriter, best known for "Me and Bobby McGee." Mark Bramble directed Broadway musicals, including 42nd Street and Barnum. Peter Tork was a Monkee. Beverly Owens was an actress, best kinown for playing Marilyn Munster in the first season of The Munsters, after which she stopped acting and married the show’s producer. Stanley Donen directed movie musicals, including Singin’ in the Rain. Margaret Scott was a ballerina, notable for founding and directing the Australian Ballet School. Lee Radziwill was best known as being the sister of Jacqueline Kennedy Onassis. It’s hard to say which of the Bouvier sisters married better, but Lee did get to be a princess, at least until her divorce. 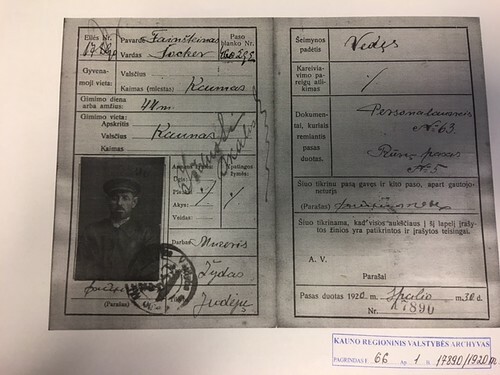 I should note that I have some evidence that some members of my family lived on Radziwill land in Kedainiai, Lithuania. Ken Nordine created a unique form of art he called word jazz, that involved improvised poetry with jazz music as a background. I stumbled upon part of his recording Colors on the radio late one night and it got me interested in jazz. Also, he earned me 18 ghoul pool points (including uniqueness points). Arrived in San Salvador. Hotel was in the Zona Rosa, which was safe enough, except for the challenge of crossing busy a busy street to get anywhere. Group had 11 people (6 Canadians, a couple from Hing Kong, a British woman, one other American, and me) plus our Guatemalan tour leader. The next day, we got a tour of the city center, with Iglesia El Rosario, a modern church with interesting stained glass, as the architectural highlight. We went on to the Museum of Anthropology for way too short a time. Then we drove to Suchitoto, where we had a short orientation walk around town, which is one of a few reasonably intact colonial towns in the country. There was a big arts festival going on and I went to an opera presentation with one of the Canadian guys. We had supper at a place where you make your own pupusas, which was fun, but time consuming. I chose to explore town on my own, instead of taking a city tour. The only real flaw in that plan was that a lot of things were closed on Monday. I did a little sketching of the church exterior, enjoyed people watching in the square, checked out the market, and made it down to the Museum for Art and Peace, which has good info on the indigenous population, as well as artwork by children in their school, which emphasizes anti-violence programs. Later on in the day, I went on a sunset boat cruise on Lake Suchitlan, which involved seeing a lot of birds. Egrets, I’ve seen a few … (Also, every cormorant in the known universe. Plus swallows, vultures, kites, hawks, and pelicans.) Some people did a very early morning bird watching kayak tour in the morning, but 5:30 is too early for me to be functional. I did a quick trip back to the town square and checked out the Museum of 1000 Plates and More, which was just the sort of kitschy attraction I enjoy. We went on to Joya de Ceren, which I would consider the must see of El Salvador. Mayan town was buried in ash after a couple of volcanic eruptions, ca. 600 CE. It is the only site where one sees ruins of day to day Mayan life. There was a very good guided tour. They are still doing excavations, so things are likely to get even better. From there, we drove to Santa Ana, where we had lunch and a short time to check out the neo-Gothic cathedral (only such one in Central America) and the National Theatre. We drove on to the ruins of Tazumal, but arrived just after the site closed. We could still photograph the pyramid from outside. Our next couple of nights were in Ahuachapan, which is not much of a place, but a good base for the Ruta des Floras. We toured a coffee processing plant (so-so coffee, in my opinion), wandered around the village of Ataco, which has a lot of interesting murals on its buildings, and went to a labyrinth (technically, a maze, but the Spanish language doesn’t seem to make the same distinction as English does), which I failed to find the center of. In the evening, most of us went to the Santa Teresa thermal baths, which was very relaxing. Finally, we drove to El Tunco, with a nice stop in the town of Nahuizalco, which has a largish market, some high-quality crafts shops, and a particularly nicely landscaped town square. We also had a stop at the fish market in La Libertad, which was interesting and friendly. El Tunco is very touristy, but is mostly a surfing beach and nightlife town, so not really my speed. Still, a day to spend relaxing with a book isn’t a terrible thing. A Quick Comment on Group Travel: Being on a tour was the most practical thing to do for a dicey destination like El Salvador. While we didn’t have any issues, our bus driver was commuting from his home and got held up at gunpoint on his way home one night. (We did see some policemen in San Salvador who covered their faces so they can’t be identified by gang members.) But I was also reminded of why I prefer to travel alone. About midway through the trip, my roommate (the other American) opted to pay a single supplement and leave me alone, which helped. There wasn’t anything wrong, per se, but we just weren’t compatible on a couple of basics. She wanted the room several degrees colder than I did (under 65 Fahrenheit, vs. my preference for at least 76 Fahrenheit) and she slept a lot later than I did. There was one other person in the group who I found annoying, because she prioritized her desires (e.g. for particular photographs) above what other people wanted, which came to a head over an issue re: tipping local guides. We had voted at the beginning of the trip to not have a tipping pool, but to let people handle it individually, but she still tried to collect specific amounts from everyone to tip as a group. She did back down when confronted, but it left some bad feelings. I should also mention that I had been afraid that the group would all be a lot younger than I am, but most of the people were roughly in the same age group I’m in, with only a few youngsters. JGSGW: Sunday was a two part Jewish Genealogy Society of Greater Washington meeting. In the morning, there was a brunch. There was a speaker who was advertised as giving a talk on Central European resources, but who had nothing prepared and managed to give inadequate answers to most of the questions people asked. In the afternoon, he gave a talk about the history of a pickpocket, which was interesting and entertaining, but not as organized as it might have been. I’d have liked to hear about how he did his research and got to the story. On the plus side, I found a possible source for some specific records I am looking for (via another person, not the speaker). Back to Work: It is always surprising how much can accumulate in even a single week away. Sigh. Celebrity Death Watch: Houari Manar was a singer of rai, a type of Algerian traditional music. Verna Bloom was an actress, best known for playing Mrs. Wormer in Animal House. J. D. Gibbs raced stock cars. Sir Michael Atiyah was a British mathematician whose work included algebraic geometry, topology, and a lot of things that I have no clue about (index theory? K-theory? Gauge theory? To quote Tom Lehrer, "bozhe moi! This I know from nothing.") "Whitey" Shafer wrote country songs, including "All My Ex’s [sic] Live in Texas" for George Strait. Mel Stottlemyre pitched for the New York Yankees. Lester Wunderman invented direct marketing. At least, he named the term. He was specifically responsible for those annoying subscription cards that fall out of magazines,the zip code system, and 1-800 toll free numbers. On a better note, he created the first customer rewards program (for American Express) which led to the wonders of airline and hotel miles and points. His development of the Columbia Record Club was probably a more mixed blessing. On an unrelated note, he collected Dogon (a Malian ethnic group) artifacts and was one of the co-founders of the International Center of Photography. I am pretty sure you don’t need me to tell you about Carol Channing. She had a successful career in musical theatre, primarily as a comedienne with a, um, distinctive voice. Her best-known role was, of course, as Dolly Levi in Hello, Dolly! She also played Lorelie Lee in Gentlemen Prefer Blndes and Muzzy in the movie of Thoroughly Modern Millie. I Should Probably Explain: I have been asked about this a few times. I make no attempt to be comprehensive regarding dead celebrities. I just skim a few sources and note names I recognize or achievements that seem interesting. It’s helpful for finding subjects for the annual obituary poems contest in the Style Invitational. Which is what I spent Monday night working on. Also, I am more likely to mention scientists than actors and, all else being equal, try to list more women than men. That’s one of my little ways of fighting back against some of the things I dislike about mainstream American culture. Political Humor: There was plenty of mockery of Trump serving fast food to the Clemson athletes. My favorite comment was that he should have served Taco Bell and gotten Mexico to pay for it. Two Quick Genealogy Notes: I volunteered to do a presentation to the genealogy club at work re: my trip last summer. Oh, dear, what have I gotten myself into? I am actually cool with presenting, but dread having to pronounce Lithuanian place names in public. Also, I had a minor breakthrough the other day. Namely, I found out when and where my grandfather’s youngest sister died. That led me to find an obituary which told me: a) another place where she had lived previously and b) that she had a son I hadn’t known about. It also suggests that the daughter who I had known about predeceased her (since only that son is listed as a survivor). Friendzies: I could have sworn I posted this yesterday, specifically on LJ. But it seems to have disappeared. It is easier to edit on DW and I have things set to copy over, so there is no harm in putting it here. The simpler friendzy is the one being hosted on solteronita’s LJ. It is worth a look to see if you want to add more journals to your reading or find more readers for your own. The theme for Week 52 (December 24-31) is Resolution. My major genealogy-related resolution has to do with organizing my files and research. I actually have a good idea of how I want to do this, essentially with hanging file folders color-coded for each of my great-grandparents. I also need to do a better job of reviewing DNA matches. And there are some parts of my family I really need to do more research on. For example, my mother’s maternal grandmother, Malka MAKOWER, had at least one sister, who I know about only because she’s listed as the closest relative on Malka’s passenger manifest when she arrived at Ellis Island. As another example, my father’s paternal grandmother, Tsivia BRUSKIN, had at least two children with her first husband and I’ve not really done much research into what became of them. I think a good starting point would be making a list of questions I’d like to answer. Note that this is the last prompt of the year. Apparently, there will be new prompts next year, but I don’t intend to be quite so completist about using them. The theme for Week 51 (December 17-23) is Nice. This was a tougher question than I expected. Oh, plenty of my relatives were nice enough, but nobody really stood out to me for exceptional niceness. That sort of informal adoption seems above and beyond the call of duty as it were. So I’ll nominate them for the nice list. The theme for Week 50 (December 10-16) is Naughty. This one is pretty easy, because I think of being naughty as something that is not quite right but not actually evil. And that seems to suit the circumstances of what my grandfather’s youngest brother, my great-uncle Willi, did. There’s a little more info from the record. For one thing,t indicates that he’d been living in Havana for 2 ½ years. For another, it gives the address of his brother, Simon, i.e. my grandfather, as Calle Habana 207. That would be fun to look for, should I ever get to Havana. He did eventually get to the U.S. legally (in 1937, via Canada and a border crossing at Buffalo). Far from becoming a public charge, he had a successful career in the fur business. I didn’t know him well, but I had the impression of him as a fun-loving and happy man. The Jewish Genealogy Society of Greater Washington had a talk by Judy Russell re: legal and ethical implications of DNA. Her key point was the need for informed consent, including the risk of unexpected results, when asking someone to test. She also provided an excellent handout. I had been concerned about the potential weather but there’s been no snow yet. Tonight was the annual holiday party at my condo complex. In the past, our complex has done this jointly with the neighboring one (who we share a clubhouse with) but this year it was just us. That made it much less crowded and much quieter. And there was still food when I left a half hour before it ended. That was a huge improvement over all the times that the food ran out in a half-hour or less. I hadn’t realized before that our neighbors are vultures. The theme for Week 49 (December 3-9) is Winter. The primary suggestion for this was to write about someone whose name reminds you of winter. There wasn’t anyone obvious there. So, let’s use a really contrived connection. Winter means snow. S-N-O-W is a 4-letter word. And K-A-T-Z is a 4-letter name. So let us tackle the KATZ family. Golde KATZ, nee GOLDWASSER, was my maternal grandfather’s aunt, the sister of his mother. I had a recent breakthrough by discovering that her husband, who I knew of as Hyman, came to the U.S. with the name Chene. (I had assumed he was Chaim, since that is the most common name for men who became Hyman in the U.S.) He arrived in New York on the Neckar from Bremen in December 1913. I haven’t quite tracked down when Goldie and one or more of their children arrived, but it has to be before 1925 because she was listed on Hyman’s naturalization certificate. They had several children. The oldest, Rose, was born in 1910 and, according to a conversation I had with another relative, ended up living "somewhere in the Midwest." The next was Samuel, born in 1910 and known (at least by my mother) as "Sam Katz, the dwarf Communist printer." Interestingly, he has to have come to the U.S. after his mother and sister, since he was still listed as living in Zambrowa, Poland on Hyman’s naturalization certificate. On the 1930 census, there’s a gap of 12 years before the next son (Jacob or Jack, who was born in 1926 in New York) so that suggests Golde likely came closer to 1925. There were 4 more sons to come, with the youngest born in 1937. I once complained to my uncle Herb about the difficulty of researching a common name like Katz. He said, "Yes, there’s just too many of them – Siamese, calico, tabby, and so on." If only, say, Rose had been called Calico instead! The theme for Week 48 (November 26-December 2) is Next to Last. I had two lists that I considered using for this. One of them is of the GOLDWASSER family from the Lomza District (Poland)Census of 1897. It includes my great-grandmother (my maternal grandfather’s mother), Pesia (Pearl) GOLDWASSER, who was 13 at the time, and her parents, Mortek Leybko (the son of Symcha) and Frejda (the daughter of Mortek, and, yes, that Yiddish version of Mordechai was a common first name), as well as several of her siblings. The next to last person on the list is a boy named Chonek, who was 4 years old, so born in 1893. Unfortunately, I have completely failed to turn up any other information about him. The other list I looked at is a list of names my father wrote, for some unknown purpose. I know who several of the people on the list were and they come from both sides of his family. For example, they include his father, his paternal grandmother, his mother and her sister, etc. The next to last name on that list is Shifra, the daughter of Bliuma Golde. Unfortunately, that is another complete mystery to me. It’s a bit unusual in showing her as the daughter of her mother, versus her father. Also, the last name on the list is Shifra Raizel, the daughter of Shifra, which is presumably her daughter, and naming the daughter after her suggests she died in childbirth. Ever more puzzles to solve. The theme for Week 47 (November 19-25) is Thankful. There are a lot of things I could say about thankfulness in the genealogy context. The generic one is that I am thankful for all of the people who have searched out archives to acquire records, translate them, and make them available to other people. It was the work of JRI-Poland that set me down the path of genealogical research many years ago, for example. And I’d know a lot less about my father’s side of the family without the heroic efforts of LitvakSIG and, especially, the Kaunas District Research Group. More specifically, I am thankful to a mentor I was matched with from the Jewish Genealogical Society of Greater Washington. She helped me find the death record of my great-grandfather’s brother, which led me to learning about his descendants and corresponding with (and even meeting) cousins I wouldn’t otherwise have known about. Finally, I am thankful for people who have given me the opportunity to help them fill in their blanks, too. The theme for Week 46 (November 12-18) is Random Fact. There are a lot of things I could have gone with for this, but here is one I think is particularly interesting and something I need to do more research on. In 1922, there was a survey of apartments in Kaunas, Lithuania. This sort of thing is, of course, useful for things like finding addresses where people were living. So it shows that my great-grandmother’s brother, Abram Leiba BRUSKIN, bought his house at Siauiliu #21 on 16 May 1914 and that he lived there with his wife, Malka (nee IUTAL), and his three sons, Meyer, Moshe, and Rafael (who is shown as Fole). But the more unusual piece of information has to do with another family. Namely, there’s a family with the surname BLOCH. The husband is Berke, wife is Berta, and they have two children, Moisei and Roza. What’s interesting is that Berke received his property at Benediktiniu Street #29 from Abram-Leiba and Malka BRUSKIN in 1913. This doesn’t, however, tell me why the BRUSKINs gave the BLOCHs a piece of property. Actually, it doesn’t really say it was a gift. (I am reading a translation of excerpts of the survey, not the original, which doesn’t help.) I am assuming the BLOCHs were relatives of either Abram-Leiba or Malka, but I have no actual evidence of that. And it is a common enough surname to be a pain in the neck to research. There are always more puzzle pieces. The theme for Week 45 (November 5-11) is Bearded. I could pull out any number of photos of bearded men in my family, though there were fewer of those over the years as people assimilated. I never saw my father or either of my grandfathers with a beard, but my brother has experimented with one now and again. But the better story related to beards is one of surname origins. My maternal grandmother’s maiden name was originally SCHWARTZBARD (spelled various ways). Polish Jews didn’t take surnames until the partition of Poland in the 1800’s. Surnames have a number of different origins, but one of the common ones is personal characteristics. SCHWARTZBARD is Yiddish for "black beard." When I had first told my mother that I’d found that was the family’s original surname, she said, "oh, no, we’re descended from pirates!" I should also note that my branch (the descendants of Enoch Ber SCHWARTZBARD) mostly became SCHWARTZ in the U.S., though my great-grandfather was buried under his original surname, or, at least, the Anglified spelling of it, when he died in 1937. His wife, Malka, nee MAKOWER, was using SCHWARTZ exclusively by the time she died in 1952. However, some of the children of his brother, Chaim Wulf SCHWARTZBARD, who died in Israel in 1959, took the surname BART or BARD. I have probably mentioned this before, but SCHWARTZBARD to SCHWARTZ Is pretty obvious. So how did Enoch Ber become Henry? Family speculation is that it was because he lived on Henry Street. Since some records show him as "Henoch," that may be a simpler explanation, but it interferes with our running joke that it’s a good thing that he didn’t live on Delancey. Though there would be a certain charm to Delancey Schwartz as a name. And it would be much easier to research! I am late on this because I was out of town, in a mixture of personal things (planned) and business travel (last minute). Stay tuned for further catching up. The theme for Week 44 (October 29 - November 4) is Frightening. I don’t really have anything that jumps out at me for this theme. I suppose the thing I find most frightening about genealogical research is how addictive it is. But, at the same time, I don’t have nearly as much time as I’d like to spend on it. The theme for Week 43 (October 22-28) is Cause of Death. I’ve written about this before. My great-aunt, Mary LEHRMAN (nee Mariasha CHLEBATZKA in one of many variant spellings) was one of the 79 people killed in the wreck of the Congressional Limited near Philadelphia in 1943. Her tombstone actually says "died in accident" and my uncle had mentioned a train accident, which (combined with the date) enabled me to find several newspaper stories, including one with her name and address. My theory that she was returning to New York from visiting her daughter, Sima SLANSKY, who lived in the DC area, is, however, speculation. I can't find it at the moment, but the father of somebody who married into the family was killed when a box fell on his head at a train station in Lithuania. So I should probably not be quite so sanguine about trains as I am. The theme for Week 42 (October 15-21) is Conflict. There’s certainly been plenty of conflict between members of my family. For example, my grandfather cut off all contact with his sister, Laika, because she objected to his buying a fur coat for my grandmother and not buying one for her. Or at least that’s the version I heard from my mother. Another example is that a cousin, Jack, was cut off from the family after he got drunk at Uncle Herb’s wedding. It’s not entirely clear how, but this resulted in my grandmother breaking her leg, which was pretty much the beginning of the end for her. In other cases, I thought there was some conflict, but it turned out not to be the case. For example, my father had no contact with his uncle in Atlanta, so I assumed there had been a falling out. But what actually happened is that his uncle died just about when Dad came to the U.S. The theme for Week 41 (October 8-14) is Sports. My family was not really sporty. My parents watched sports on TV, but never played anything at more than a casual level. However, some people do consider chess a sport and there I do have a notable family member. Rivka CHWOLES, aka Maria LICHTENFELD, was the daughter of Moshe CHWOLES and Chava-Leah nee BRUSKIN. The latter’s sister was my great-grandmother, Civia BRUSKIN, so Rivka was my paternal grandfather’s first cousin. That made her my first cousin twice removed. She was born in 1923 (or, according to another source, 1928) in Vilnius, Lithuania. She (and her sister Sonja) escaped the Vilna Ghetto in 1941 and assumed identities as Christian Poles, allowing them to survive the Shoah. It was during this time that she took the name Maria, by which she was known within the chess world. Her parents and three other sisters were murdered at Ponary. She and her husband, Yosef LICHTENFELD, emigrated to Israel in late 1956 or early 1957, and ran a hair salon in Ashdod. She won the Israeli women’s chess championship in 1957 and continued to teach chess for much of her life. She was also known as a painter, though less famous than her brother, Rafael CHWOLES. She died in January 2017. The theme for week 40 (October 1-7) is Ten. This is, obviously, a theme that could be interpreted a lot of ways. Of the suggestions I read, the one I decided to go with is to write about the person designated at 10 in the Ahnentafel genealogical numbering system, which is one of several standard approaches to organizing an ascending chart of ancestors. You can google the details if you like, but the relevant part is that this particular number refers to one’s paternal grandmother’s father. In my case, that would be Shachne FAINSTEIN. Here’s a copy of his internal passport card from 1920. Shachne is actually a nickname, an affectionate diminutive for Shokher, which is the Yiddish form of the name Issachar. I mention that because searching for records requires using "Shokher" – even allowing for phonetic searches wouldn’t find him as Shachne. It is, in general, useful to understand nickname patterns. As another example, Shachne FAINSTEIN’s brother was called Itsko, which is a nickname for Yitzchak (Isaac). Anyway, Shachne FAINSTEIN was born in Josvainiai, Lithuania somewhere between 1876 and 1882, depending on which records you believe. His parents where Shimkha FAINSTEIN and Esther Malka, nee SALOMON. He had two siblings – Itsko (who I just mentioned) and Rachel, who married a man named David VIATRAK. A 1941 voter’s list gives his address as Jonavos 48. That street has been torn down and everything replaced, so I was not able to see that building when I was in Kaunas in August. According to my father, he also had a summer house across the river in Slobodka (now Villiampole). He was a brick contractor. Apparently, he started out as a builder / bricklayer and then went into the contracting side of the construction business. I saw a lot of red brick buildings during my trip, so I guess it was a good business. He was killed on 28 October 1941. The only one of his children who survived was Nachum, who settled in Israel after the war. The theme for week 39 (September 24-30) is On the Farm. There’s not really much farming in my family history. My ancestors were mostly craftspeople – tailors, cobblers, and the like. But Leib EDIDIE, who was apparently the uncle of my great-great-great-grandfather, Izrael Itsik FAINSTEIN, is shown as wanting to be a farmer on state land in an 1847 census list of Kaunas district farmers. And his father, Movsha, was a market gardener, which one could count as a small-scale vegetable farmer. However, Leib ended up becoming first an innkeeper and then a distiller. And Izrael Itsik became a tailor. There were probably some cucumbers in backyards, but that’s about it for farming. Celebrity Death Watch: Ward Hall was a sideshow impresario. Chelsi Smith was Miss Universe 1995. Peter Donat was an actor, best known for his television work, though his involvement in the American Conservaory Theatre in San Francisco was also significant. Adam Clymer was a political correspondent for The New York Times. Marin Mazzie was a musical theatre actress. Virginia Whitehill was a women’s rights activist. Dudley Sutton played Tinker Dill in the British television series based on Jonathan Gash’s Lovejoy mysteries. Maartin Allcock was the lead guitarist for Fairport Convention and also played keyboards with Jethro Tull. Arthur Mitchell founded the Danc e Theatre of Harlem. George Hatsopoulos wrote an influential textbook on thermodynamics. John Cunliffe was a British children’s author, best known for Postman Pat. Charles Kao won a Nobel Prize for his work on fiber optics for communications. Denis Norden was an English humorist. I have fond memories of listening to him and Frank Muir on My Word many years ago. I particularly remember a story about Rene Descartes, whose wife told him not to eat the miniature quiches at a party as she was saving them for a late night snack. He explained this request to a friend by saying "I think they’re for 1 a.m."
Health Kvetch, Part 1: I had a (routine) doctor’s appointment on Friday last week. That included getting my annual flu shot, in my left arm. I also got the first shot of the new shingles vaccine, in my right arm. My left arm itched around the injection site until Monday. My right arm was sore whenever I lifted it until Tuesday. Health Kvetch, Part 2: I had laser gum surgery (LANAP) yesterday, in hopes of it dealing with an infection both less expensively and less painfully than other options. The procedure wasn’t too bad and, so far, the recovery is not terrible, though icing the affected area much of the day yesterday was mildly annoying. (I took part of the day off from work, but did call into a couple of meetings from home.) However, the periodontist said the maximum pain is usually at the 3rd day, so we will see. So far, the pain has been pretty minimal, which might be due to taking Tylenol as a precaution. The other annoying parts (aside from the whole periodontist thing) are: 1) the huge antibiotic tablets that I have to take for a week and 2) having to eat a soft diet for 7-10 days. Hopefully this will prevent the need for worse things. Museum Day – National Museum of Women in the Arts: Saturday was the annual Smithsonian-sponsored Museum Day. This means free admission to a large range of museums throughout the country. You have to get tickets in advance, which means you need to choose what museum to go to. The trick is to make sure you are going to something that normally does charge admission, which rules out the overwhelming majority of museums around here. I chose the National Museum of Women in the Arts, which proved to be a good choice. Some of my favorite pieces were Red Ice (a photograph by Deborah Paauwe), Jo Baker’s Bananas (textile art by Faith Ringgold), 4 Seated Figures (sculpture by Magdalena Abakanowicz), Carrots Anyone? (artist’s book by Susan Joy Shore), and Wonderful You (painting by Jane Hammond, in which she imagined herself as various mythical and mythological characters). All in all, it made for an enjoyable couple of hours. JGSGW: The first Jewish Genealogy Society of Greater Washington meeting of the season was Sunday. The topic had to do with Shoah memorials in the former Soviet Union. But there is more value in the general schmoozing before and after the meeting. Everything Else: I think I am finally caught up on puzzles from when I was gone. I am not, however, completely caught up on reading mail (both e and snail varieties). Last night was book club. After reading an 800+ page book, we’ve decided to set a 400 page limit on future selections. I should probably say something about baseball. And/or politics. But anybody who knows me at all can already figure out my opinions.